Catchloops Update – And it’s also post #100! Half the reason I don’t post as often as I should is that I feel like I must have pics every time I do. That’s another of the “golden rules” of blogging. 1) Post often, 2) Have pics 3) Be interesting. 3)’s kinda optional. Of late, I’ve been working on a secret design for Knit Now 27; getting submissions together – can’t show you any pics of them either for much the same reason, and I have two designs in testing at the mo too. One of those (le sigh) is also secret, but the other is the Kaava Shawlette that I flashed the other day. This is my first lace shawl and I’m going to release it just as soon as it’s tech-edited and tested. Could be as close as two weeks away or as much as a month, but either way looks like it’s going to be my next released pattern. My next projects are lots and lots of proposals – sketching, swatching and specc’ing, but I do also has some more of my own patterns in the pipeline. I find it hard to prioritise my own patterns over everything else that needs to be done – any one out there want to be my drill sergeant? I’m looking forward to the Summer holidays – I’ll be home in Dublin for a week in August, so I’d love to catch up with the Irish yarny world, aon sceal nua for me? 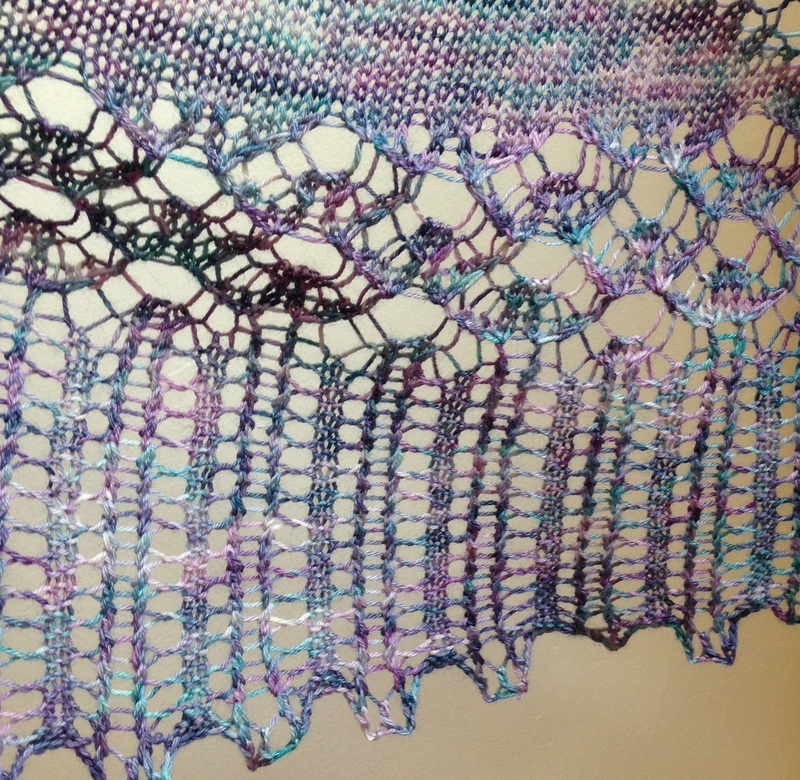 Congratulations on your 100th post AND your 1st lace shawl pattern ! Looks lovely ! Thanks Jen! Slowly does it!